Niger belongs to the Sahel region and about 80 % of its land is covered by the Sahara Desert. 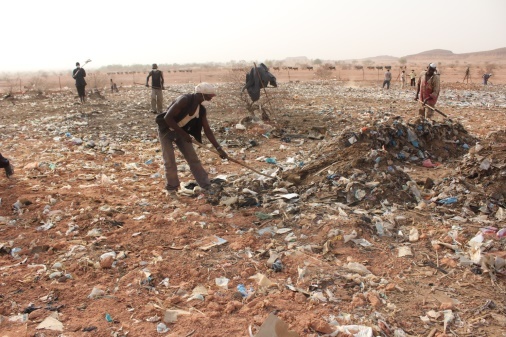 Near Niamey, the capital city of Niger, a Japanese researcher spread more than 2,000 tons of urban wastes including food wastes, papers, plastic bags, flip-flops and other various household wastes over a barren land. Why did he do such a thing? 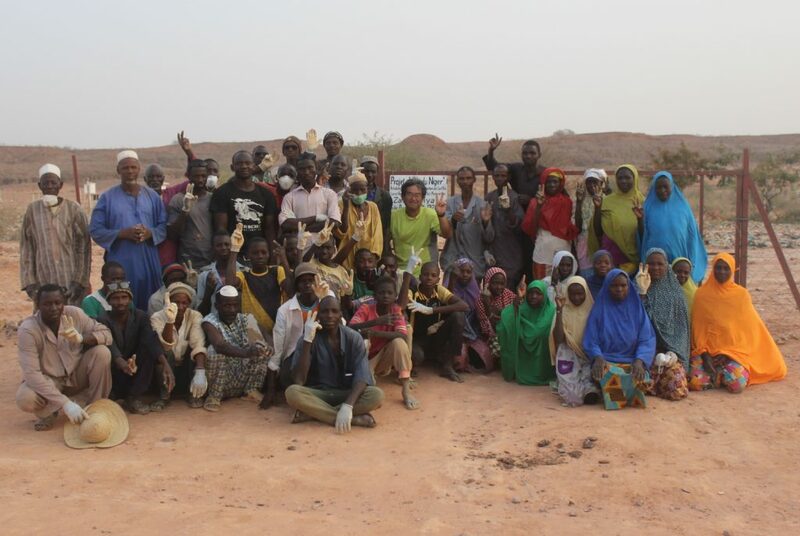 Dr. Shuichi OYAMA, an Associate Professor in the Centre for African Area Studies, Kyoto University, came up with the idea of reducing land degradation through the use of urban wastes, after many years of research experience in Niger. The pilot project to prove the effect of urban wastes on greening a degraded land started in 2015. Photo 1 shows the people who are levelling wastes which were brought from the city and covering it with sand to prevent it from being blown away by the wind. And Photo 2 and Photo 3 show the grassland which is used to feed the livestock. Surprisingly, both of Photo 2 and Photo 3 were taken from exactly the same place as Photo 1, after 6 years of waste dumping. Dr. Oyama has repeatedly conducted experiments in the degraded land since 2003, and he started the “Greening project by utilizing urban organic wastes and livestock in the Sahel region of West Africa” with the support of the Mitsui & Co. Environment Fund from 2015. The movie above also shows the change of the project site from 2012 to 2017. After 2 and a half years, 34 plots equivalent to 10.03 hectares were established. The amount of wastes transported to each of those plots was higher than 2300 tons. Even though it seems to be a very big amount, as the wastes disposed in Niamey city is around 1,000 ton per a day, it only accounts for the wastes generated in 2 days. 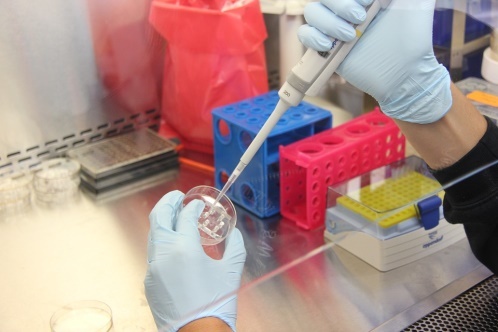 To answer those questions, Dr. Oyama analysed the chemical composition of the urban waste and compared it with the environmental quality standards set by the European Union. He found that the waste from homestead shortly after dumping did not contain any heavy metals or other harmful substances. Instead, it had a great percentage of nutrition that helps plants to grow. The plastic and metal wastes provide shelter for the termites which create suitable aggregated soil for the plants. He has also conducted an experiment to determine the decomposition mechanism of wastes in the dry land, the results of which will be introduced to you in the next article. 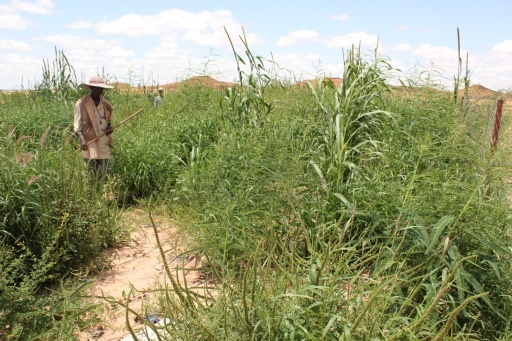 Based on several experiments since 2003, Dr. Oyama proved that by spreading wastes in the thickness of a half inch, grasses and trees naturally grow up during the rainy season in the barren land. According to him, it is also possible to create forest if we protect the restored vegetation from livestock and human activities. 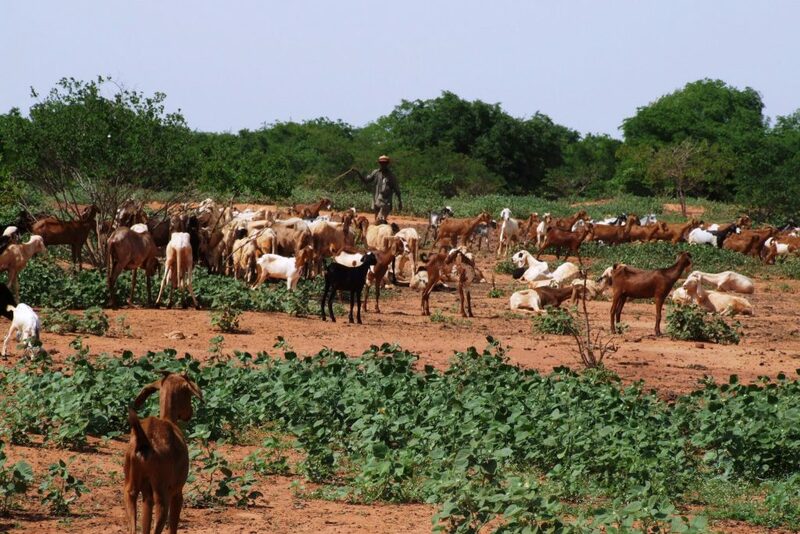 In Niger, recent rapid population growth has led to the expansion of agricultural land, over-grazing, shortening of fallow period, and also conflict among residents over limited natural resources. In the project area, people of three main ethnic groups, Hausa, Fulani, and Tuareg share the same living zone. 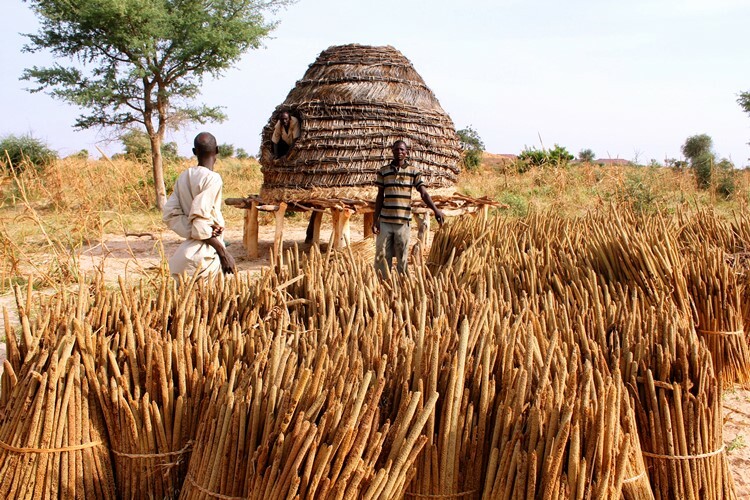 Hausa mainly live on the cultivation of pearl millet and cowpea, while Fulani and Tuareg herders depend on the pastoral activities of grazing cattle, goat, camel, and sheep. 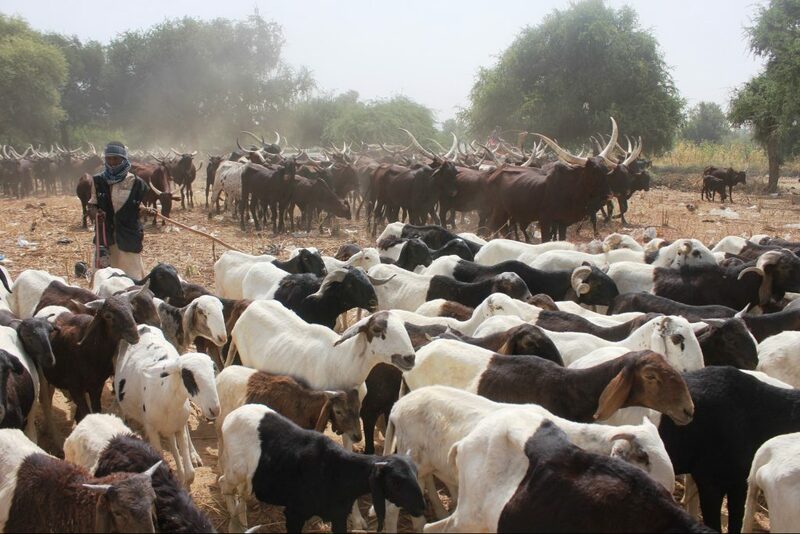 When the dry season and harvest season comes, livestock of pastoral people enter the farmland of Hausa and eat the planted grains before the finish of harvesting. 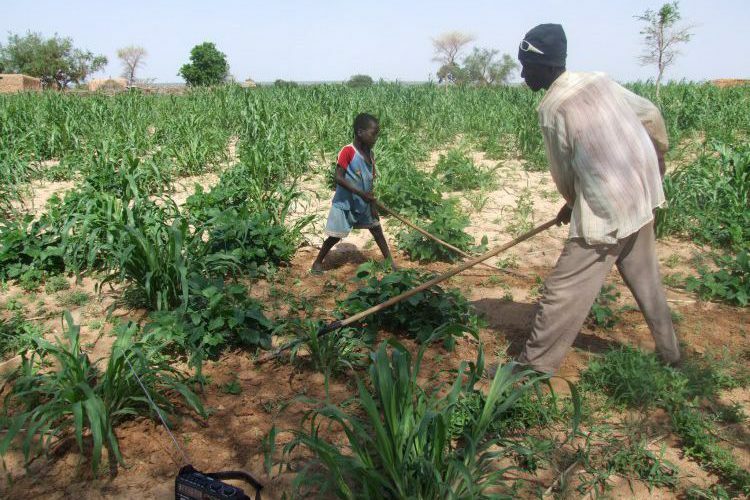 This creates tension between the farmers and herders, which sometimes escalates to armed conflict resulting in injury and loss of life. 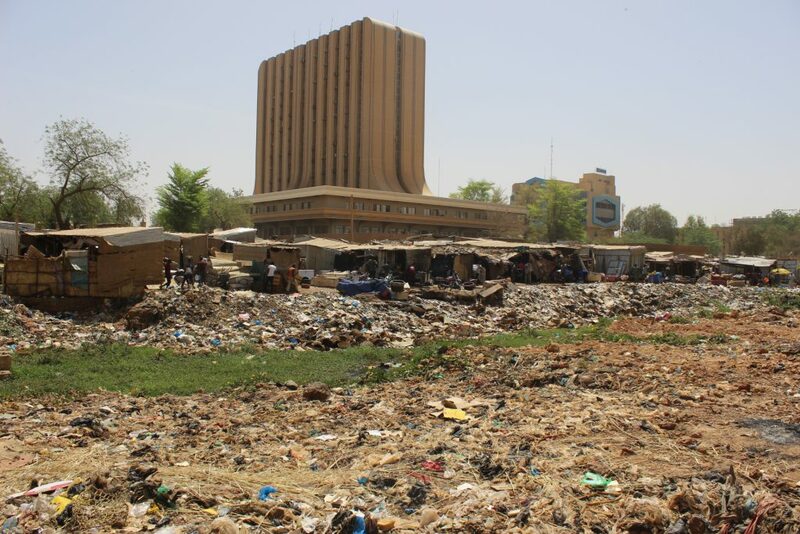 As in many towns of developing countries, waste management is one of the major problems in Niamey. The residents live with piles of garbage strewn throughout streets and public places due to the lack of public disposal systems. 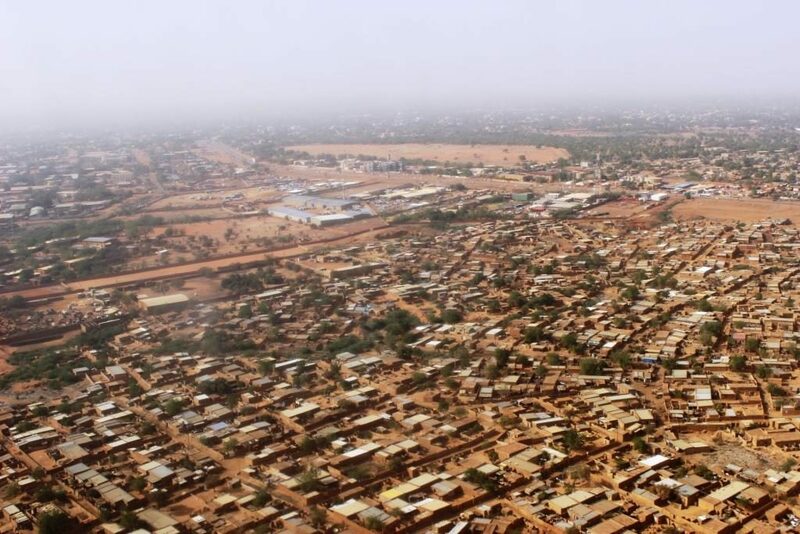 This accelerates the unsanitary conditions and infectious diseases such as cholera and typhoid that occur in Niamey, particularly during the rainy season. 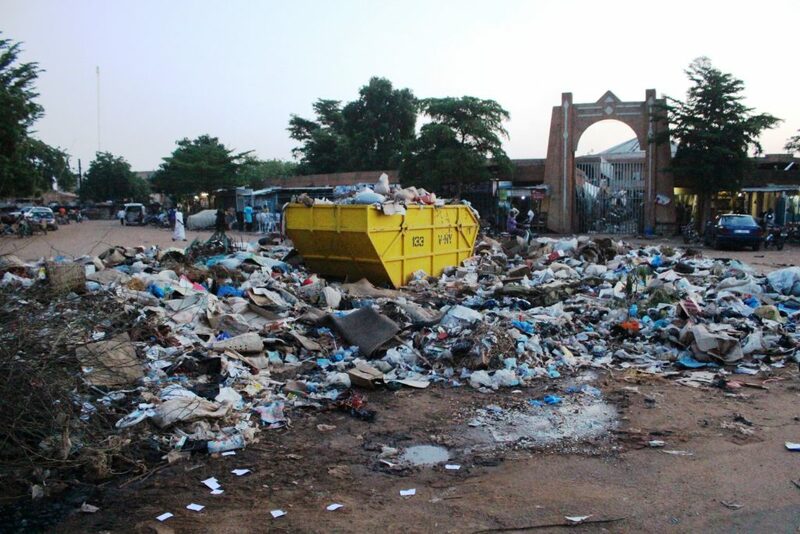 In order to improve this situation, the Niger government recently has started a project aiming to eliminate plastic wastes nationwide. We hope that the situation will get better for residents in Niamey. 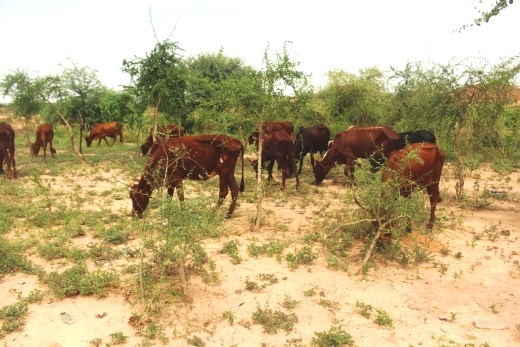 The project implemented by Dr. Oyama has the following four objectives: (1) Improving sanitation by collecting wastes and cleaning up the city, (2) Promoting land rehabilitation of barren land with organic wastes, (3) Improving the productivities of both farming and livestock grazing by land rehabilitation, and (4) Restoring the relationships among farmers and herders, and contribute to preventing conflict”. Although the approach Dr. Oyama takes is really unique, this project has the possibility to solve various challenges of Niger. The mechanism of decomposition and an important rule of urban waste to create useful environment for both human and livestock will be introduced in the next update.